"People join good companies and leave bad bosses." That was the conclusion of The Gallup Organization, which has done the most extensive workplace research in the world. They found that the number one reason people leave their jobs is a poor relationship with their immediate supervisor. By contrast, they found that good bosses are the most significant factor in creating a positive work environment, which leads to greater productivity, profit, and customer satisfaction. Consultant David Maister corroborated these findings with his own study among professional service firms. He also found a direct correlation between employee attitudes and financial performance. Interestingly, he discovered greater variances in employee attitudes between offices within firms than between firms. Conclusion? The most important variable is the local manager or managers. In uncertain times such as these, many firms are most concerned about layoffs. But the uncertainty also leads to voluntary staff departures. These are often some of a firm's best employees seeking better opportunities elsewhere (and there are A/E firms still actively recruiting). So now is a good time to assess your workplace environment, and there's no better place to start than to take a closer look at those in supervisory roles. Clearly define supervisory responsibilities and expectations. In my experience, most firms have yet to take this important step. There are multiple supervisory roles within the average A/E firm. Project managers typically have the most prominent day-to-day supervisory responsibilities, although that role falls to disciplinary department managers in many firms. Given the predominant project team structure, direct-line supervisors often have limited interaction with those employees assigned to them. Additionally, we have operations/office managers who assume a broader, yet critically important, role as boss. To develop great bosses, you need to first clarify what is expected in each of these roles. This should include guidance on how bosses at different levels coordinate with each other in the interest of the employee. For example, when an employee sets annual goals with his or her immediate supervisor, are those communicated to the project managers who oversee that employee's daily activities? Another example: In some firms there is confusion regarding supervisory authority between project managers and department heads, which can leave employees caught in the middle of an ongoing conflict. Advocate. Taking a personal interest in the needs of the employee. Being accessible to listen to ideas and concerns. Offering ongoing praise and recognition. Providing the tools and resources the employee needs to succeed. Advisor. Helping the employee define his or her career path and best job fit. Ensuring professional development opportunities. Providing ongoing coaching and mentoring. 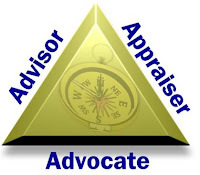 Appraiser. Defining expectations and reviewing progress (including formal performance reviews). Linking the employee's work to company goals. Enforcing performance standards and compliance to the firm's values. Provide training and coaching. With roles and expectations defined, you will probably need to help those in supervisory roles improve their relevant skills. If you're serious about it, this likely requires a significant investment in training and coaching. But a word of warning: Don't expect a training event, no matter how well done, to make a lasting difference by itself. People may gain new knowledge in attending a one- or two-day training seminar, but skills development requires time, repetition, and reinforcement. That's where coaching comes in. Coaching involves real-time, on-the-job reinforcement of new skills--where learning is most effective. Ironically, great bosses are typically great coaches. They provide instruction, feedback, and encouragement as the work is being performed. To support supervisory training, you need to devise ways to provide subsequent reinforcement on the job. You might assign senior managers for this task (assuming they're qualified and committed), or you might seek outside help. I've found periodic "forums" for training participants useful. These are meetings where peers share experiences, challenges, and ideas related to their attempts to put the training into practice. Occasional refresher training sessions are also helpful. Solicit feedback from those being supervised. When it comes to developing better bosses, the measure that matters most are the perceptions of employees. They will ultimately determine how well their bosses are doing in their supervisory capacity. Apparently, most firms don't have a formal mechanism for collecting this kind of feedback. A 360-degree review process is one way, at least on an annual basis. I also recommend regular internal project debriefings, which should include an assessment of the project manager's performance. You can collect this anonymously, but the best project managers I've seen have the kind of relationship with the team where they can ask directly, "How can I do better next time?" Annual employee surveys can provide feedback on corporate leaders and office managers. Enforce minimum performance standards for bosses. You can do all of the above and you still are likely to have a few bosses who aren't meeting expectations. If you simply tolerate it, it can undermine the whole initiative. Not everyone can be a great boss, but everyone should be expected to meet a few minimum standards. Clearly communicate what those are and how they will be measured. For those who will not or cannot comply, it's best to move them out of a supervisory capacity, if possible. If you don't have enough bench strength to do that, you might consider dividing and sharing supervisory responsibilities. Find someone else to perform tasks that a particular boss does not do well (or at all). But most bosses don't lack the ability, they simply don't make it a priority. They might be helped by having someone like the HR director schedule certain supervisory tasks that ideally would occur more spontaneously. Lead from the top. It's hard to have a company of great bosses if you don't have effective leaders at the top of the organization. The CEO, in particular, sets the tone. He or she needs to (1) model the behaviors expected of other bosses, (2) make it a priority in corporate policy and practices, and (3) hold those in supervisory roles accountable. Firm leaders don't necessarily all have to be great bosses, but they have to be working hard at it. After all, what employees need their bosses to demonstrate most of all is that they care.